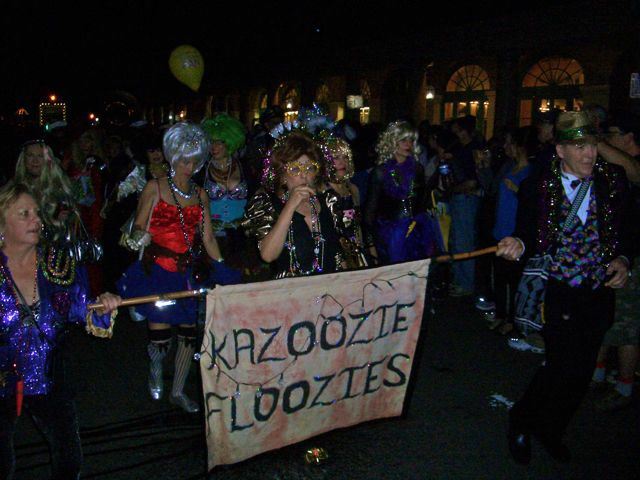 Who are the Kazoozie Floozies? 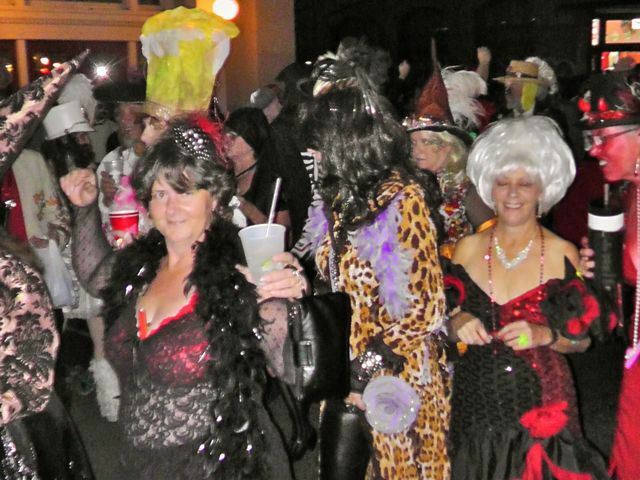 A group of New Orleans women who play the kazoo and create and sing risque lyrics to well known pop tunes. 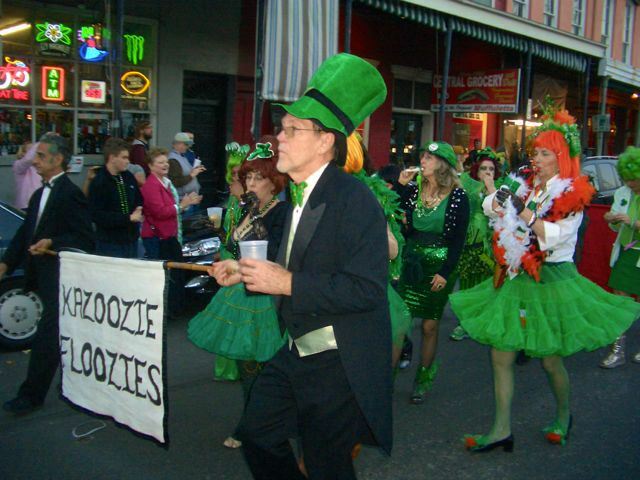 Formed in 1984 by the now deceased, legendary Ellen Abrams, the Floozies march in parades (Krewe du Vieux, Molly’s at the Market- Jim Monaghan’s- French Quarter Halloween Parade, and Molly’s at the Market Irish Parade), perform for store openings, and other notable events. Liz Scott Monaghan, Jim’s last wife, called the Floozies a rowdy song group, a fitting description. Favorite Floozie ditties include- Getting It Up Is Hard To Do, Hey Quick Spender, Down On Decatur Street, Bye Bye Paycheck, Grand Old Fag, Hey Dock Booker, and Gen-U-Wine Floozie. It a city full of so much over the top musical talent, you have to love a group that features the kazoo! 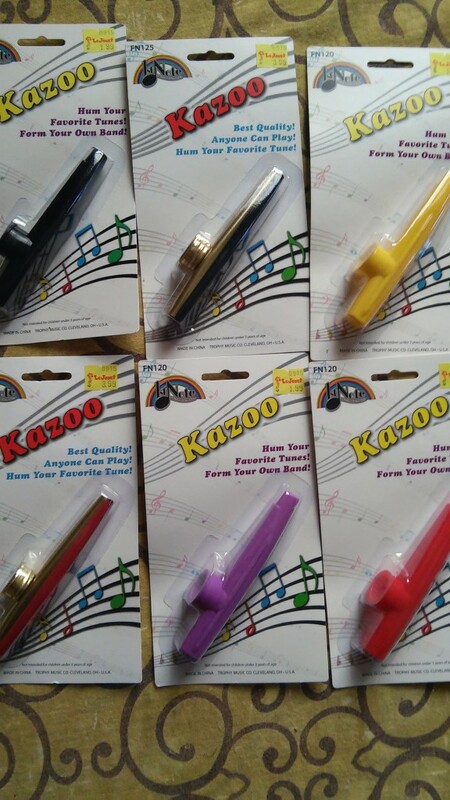 Everyone can hum, therefore everyone can play the kazoo beautifully. The Floozies elevate the kazoo to great musical heights. 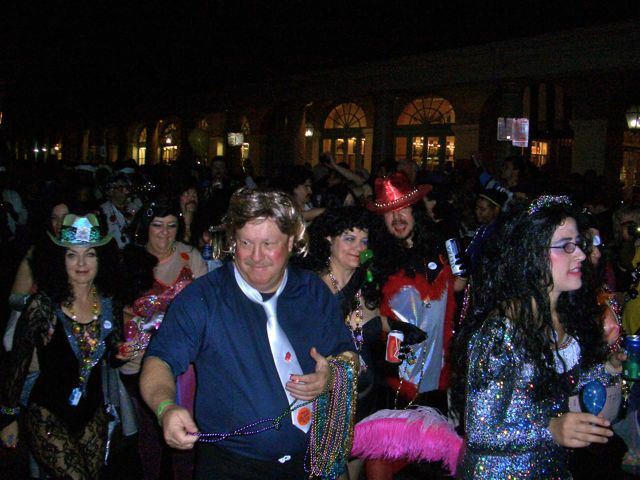 Among the epoch events the Floozies have participated in include legendary New Orleans philanthropist and party giver Mickey Easterling’s Birthday Party for none other than the amazing Robert Goulet and the Opening of the now closed Ripley’s Believe It or Not Museum. They annually celebrate a woman’s right to drink on Pearl Harbor Day, December 7, aka Bomb Your Mom Day. The Floozies made an appearance or two, courtesy of Jim Monaghan, at the Mystick Krewe of Louisianians annual Mardi Gras ball in Washington D.C. Almost original Floozie Sue Rapasky recounts that sterling night at Easterling’s Party for Robert Goulet. Says Rapasky, Easterling made us use the service entrance and refused to feed us dinner, but Robert Goulet treated the Floozies like royalty. He was really sweet! Easterling’s house was memorable- the guest registry was in the bathroom! Memorable Floozie themes include the Perve Patrol, the Douchettes, and the Spanking Team- a dollar for a spanking! The following four photos are from another wordpress blogger, latonola. Thanks for the great photos! St. Patrick’s Day Floozies in Green! A kazoo is a type of instrument known as a mirliton (not militon, or vegetable pear, or chayote), which uses a resonating membrane to amplify sound. It belongs in the percussion family of instruments and can be made in a number of ways. Derived from the ancient African mirliton, the kazoo was first manufactured during the 1800s. Today, it is primarily a plastic, toy instrument, which is fun and relatively easy to play. The modern day kazoo was invented by Alabama Vest during the 1840s. He drew up the plans for the instrument and had it made by a clockmaker named Thaddeus Von Clegg. In 1852, they demonstrated their kazoo at the Georgia State Fair, and it became a popular instrument in that region. In the early 1900s, a method for large-scale kazoo manufacture was developed by Emil Sorg and Michael McIntyre. McIntyre later started selling kazoos in 1914 and received a patent on the process in 1923. He went on to found the Original American Kazoo Company which is still in operation today. 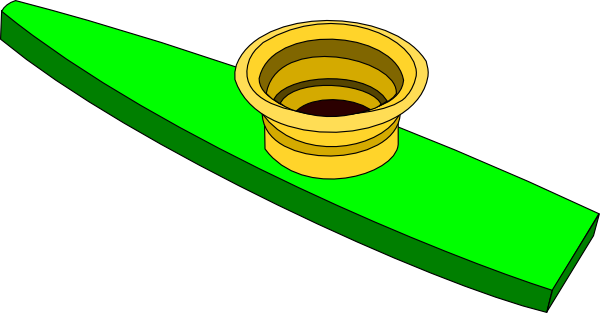 Later, the plastic kazoo was developed and it is now the standard material from which most kazoos are made.